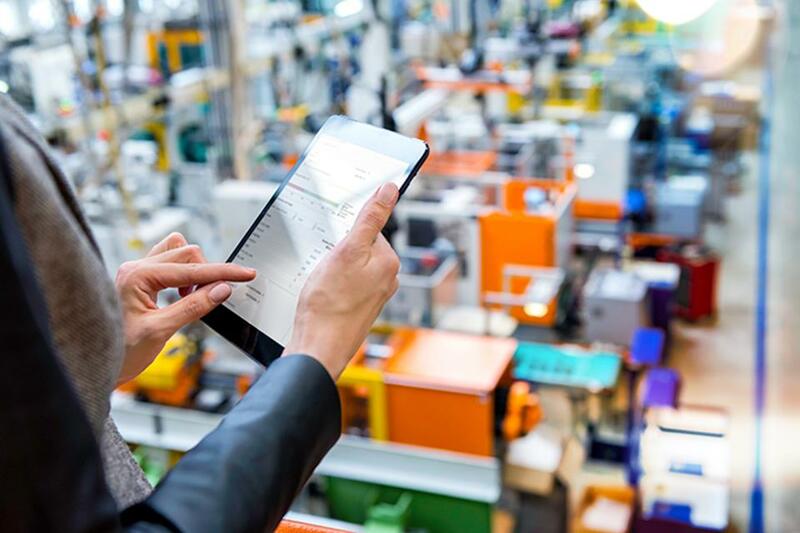 IoT Oracle- Picture this: Data generated from sensors attached to machines on factory floors worldwide enables a supply chain manager to remotely pinpoint potential problems. The manager can even use augmented reality to take a closer look. Meanwhile, artificial intelligence algorithms sift through current and historical data to predict and automatically schedule machine maintenance—and let the service tech know exactly which tools are needed—substantially reducing downtime. Additional sensors monitor the temperature and other parameters of the products throughout manufacturing, warehousing, and delivery to verify that all factors meet contract specifications. And through integration with its manufacturing and supply chain systems, the company automatically receives the agreed-upon payment via a blockchain ledger system. No manual reconciliations. No back and forth necessary. Customer expectations are met. Payments are timely and predictable. This Internet of Things vision can become a reality—but only if companies approach IoT strategically, tying all of this data from multiple core systems together. The hard reality is that most IoT projects don’t make it past the pilot stage, as they languish in isolation and drown in data collected but never analyzed or used. That’s why Oracle focuses on building cloud services for IoT (and other emerging technologies) that are tailored to specific business use cases and come pre-integrated with Oracle cloud applications, Jewell said. Since announcing Oracle IoT Platform in 2017, the company has rolled out five IoT applications for specific functions: to monitor assets, production, vehicle fleets, and customer service, as well as to ensure worker health and safety. A quick search on job site Glassdoor.com shows more than 26,000 data scientist positions posted in the last month alone, with an average base pay of about $140,000. “We have the data scientists so you don’t have to hire them,” Jewell said. Too many companies begin their IoT planning by focusing on the technical minutia of sensors, device management, protocols, and connectivity, said Bhagat Nainani, Oracle vice president of IoT and blockchain applications, during an Oracle OpenWorld presentation. “Companies that instead start with desired business outcomes in mind can then determine the KPIs they need—and from that, what kinds of machine learning and analytics and rules and models are necessary to compute or predict those KPIs,” Nainani said. “Then they can determine what data they need and where they can get that data.” It may be from manufacturing and customer-facing systems, as well as from some devices, he added. Only at that point should companies focus on the technical details, Nainani said. For example, Noble Plastics, a Louisiana-based contract manufacturer of injection molding products, started its IoT planning by focusing on improving customer service and reducing labor costs for monitoring robots and manually intervening in the production process. Today, it uses Oracle IoT Asset Monitoring Cloud to get real-time information from sensors on industrial robots, and it uses Oracle Mobile Cloud Service to extract information and send an alert to the appropriate engineer or line operator when a problem pops up. The engineers are now focused on analyzing problems and designing products rather than reworking orders and responding to misdirected alarms. In its recently published top 10 list of strategic IoT technologies and trends, Gartner predicts that a variety of companies will move into adjacent businesses by buying, selling, and manipulating their IoT data. For example, Concentrix, a Fremont, California-based business services company, is helping its automaker clients generate additional revenue by analyzing their connected cars’ IoT data in order to produce monthly vehicle health reports that they email to their customers. The reports also provide links to the nearest dealer’s service appointment system.